(Alexandria, Va. – June 20, 2018) The International Parking Institute (IPI) announced the names of eleven parking organizations that have become Accredited Parking Organizations (APO), earned APO with Distinction, or re-accredited their APO. The organizations were recognized at the IPI Conference & Expo in Orlando, Fla. this month. 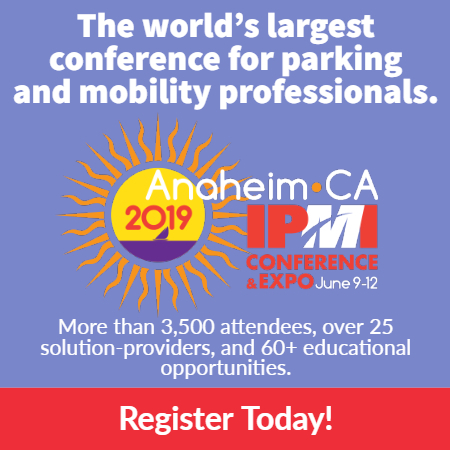 APO, developed by the International Parking Institute (IPI), is a certification for parking organizations that have achieved a comprehensive standard of excellence. APO recognizes best practices in responsible parking management and operations, customer service, professional development, sustainability, safety, and security. To become an APO, an organization must demonstrate its commitment to ongoing evaluation and improvement of program outcomes through the implementation of industry best practices. Applicant organizations work with third-party reviewers to organize and present evidence of accomplishment of 250 criteria in 14 categories related to industry best practices. To achieve the APO with Distinction, an additional set of criteria must be met. The APO was developed to be applicable to institutional, municipal, medical, university, airport, private, and other parking programs. Organizations must re-certify every three years to maintain the designation. Parking organizations interested in becoming APOs can download information, including the 35-page APO Manual for Applicants, at parking.org/apo. For more information, contact Rachel Yoka at yoka@parking.org.